sorry guys, it’s simply not. Just like everything else in life there are things we do for show and things we do for progress and results. When it comes to exercise, getting fit and looking great requires a program, and single arm handstands while holding your dog are not it! A good, educated exercise program (note I emphasize the word program) is meant to improve your ability in a specific sport, to help you become stronger and more mobile, to help you get pain free (be it back pain from sitting, knee pain from running, neck pain from an old injury) and of course the bi-product of a good training program is having a fit, lean body (yes that would be your goal to look great in your jeans or your bikini). A good, educated exercise program (note I emphasize the word program) is meant to improve your ability in a specific sport, to help you become stronger and more mobile, to help you get and stay pain free (be it back pain from sitting, knee pain from running, neck pain from an old injury) and of course the bi-product of a good training program is having a fit, lean body (cue your goal to look great in your jeans or your bikini). A solid and result driven exercise program should follow logical parameters in load, time intervals, duration, exercise sequences and progressions. It should also have those same parameters in the rest periods with in the workout, as well as your weekly programming. The format of your training program is essential to your success. Athletes train for power, speed or strength gains. Many regular people train to look good, be healthy and be able to function correctly (often to get out of pain to perform their sporst or favorite hobbies). This is why in your Love Your Jeans challenge, just as an example, we provide programing. 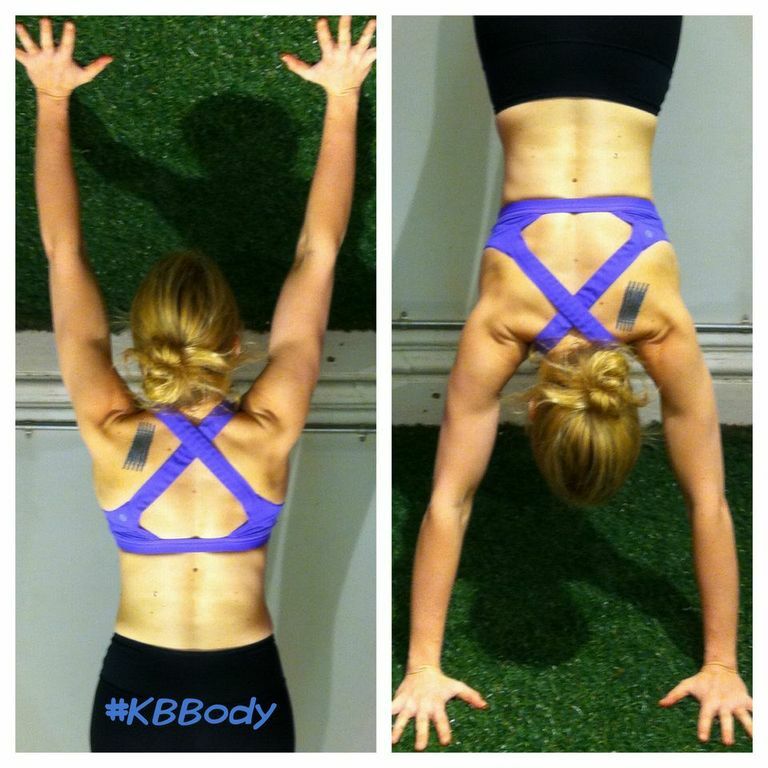 We give you a workout schedule using the Body and/or Scorcher Series DVDs and/ or the KB classes. We add in our You Tube videos as a supplement for form discussions, modifications and advanced variations for those of you that are on our advanced rotations. In our Scorcher Series Program and Body Series Program the workouts adhere to all of the principles discussed above. They follow sports science structures and result driven parameters. When you train on a good program your next most essential concern should be technique. Attention to correct technique should be the most important part of your workout. 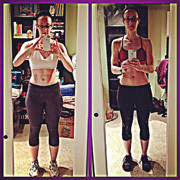 Technique and programming can make or break your efforts and your body. It is not simply enough to lift a weight or do an exercise, it’s not enough to go to random classes, or do a series of random home DVDs. It is the manner of your exercise; the progression and the way the motions are paired together with rest and work periods, plus how that format is placed into your week and month, and lastly your form and technique that will 100% provide real results. ***and note that all of our videos, programs and even You tube clips show a slower modification for every motion. *** boys (and girls) there is also an advanced burpee on that video- its tough! try it! When I say results, I mean letting your body reach it’s full potential. If you devote your time to training, wouldn’t you want to get the most out of your time and effort? Why do you think a single DVD never comes with a before and after picture. It is clear that only real programs have a successful track record of weight-loss, health, mobility and strength. That is why we only put out programs, not single workouts. That is also why our live classes rotate curriculum in a very specific way. Not convinced? Why do you think athlets train on programs, no athelet goes into their training regiment on random exercises. Celebrities, figure competitors and models get ready for their shows, shoot and movies on programs . Programing, and dedication is key to your success. We have all seen Facebook and instagram posts of our friends doing handstands or a video someone shared of a young guy doing pull ups off of a building, or an ex-gymnast doing triple spinning flips in the gym. That my friends has nothing to do with your fitness routine. Those are fitness tricks- specific to the background of that persons past experience in training (gymnastics, ballet, dance, swimming, martial arts) and is not relavent in your training routine. Now, some people train with a desire to perform feats of strength, gymnastic ability or agility- sometimes by using gymnastic skills, dance skills or others. This is a point where the goals shift from looking better, getting healthy or performing well in a sport, to simply training to perform a trick of feat. Am I not saying you should never aim to do a dive, a back flip or a hand-stand… not at all, if that is your goal- why not!? Go for it, however know that those actions are not the building blocks of fitness and health. Also, as one of my mentors once told me, “Understand that feats of strength, and stunts, are more or less harmful in that their only purpose is show.” – Steve M.
Before you devote all of your time to a motion or a stunt- ask yourself, why am I trying to do this single arm hand stand while holding my dog, or this clap pull up while hanging off of a bridge. Remember, to succeed all you need is the right program and a level of commitment from yourself- that is it. One or the other alone will not do. We take care of the programs here, all you have to do is go for it- go for your goals. Commit, stay focused and conquer.